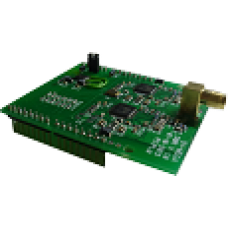 With the DVMEGA Dual Band Radio and ARDUINO board basis you quickly make a 10 mW hotspot for D-Star or DMR which operates on VHF or UHF. The dual band radio is later used in the transceiver kit. Product that fits this device : SRH805S Diamond antenna.